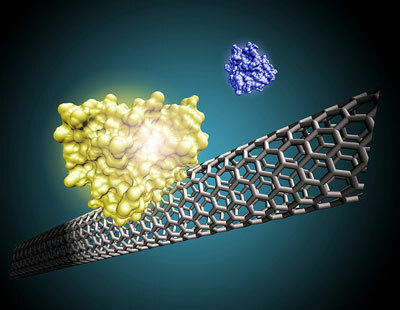 (Nanowerk News) Researchers at Oregon State University have tapped into the extraordinary power of carbon nanotubes to increase the speed of biological sensors, a technology that might one day allow a doctor to routinely perform lab tests in minutes, speeding diagnosis and treatment while reducing costs. The research was just reported in Lab on a Chip ("Increasing the detection speed of an all-electronic real-time biosensor"), a professional journal. More refinements are necessary before the systems are ready for commercial production, scientists say, but they hold great potential.